We've seen our fair share of Christian rock concerts through the years with most of them being performances by the iconic Phil Keaggy or the more contemporary Jars of Clay. But, on Thursday, August 30, 2018 we took in a little taste of heaven as the incomparable CCM act and Grammy Award-winning recording artist Michael W. Smith presented a free concert at Nashville's Bridgestone Arena. 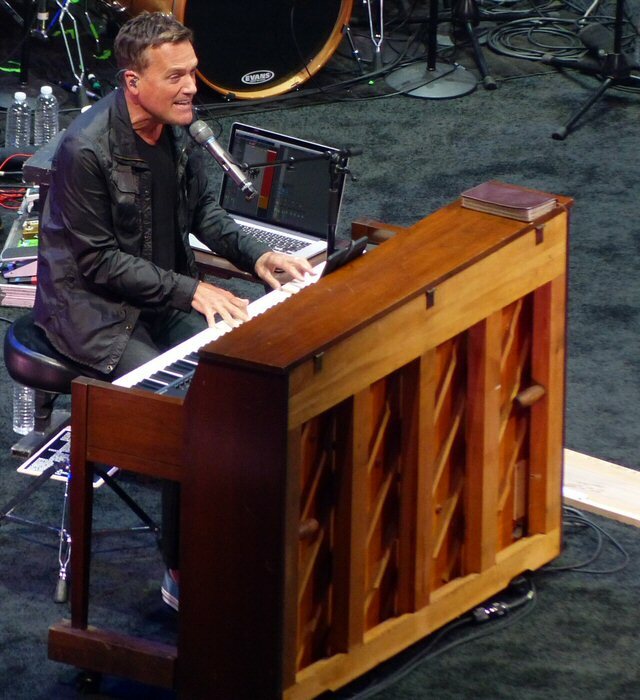 Michael W. Smith was surrounded by support and spirit in Nashville. After a dramatic opening which included a shrouded stage and computer generated flames Michael greeted the assembly in Music City saying he wasn't sure what to expect or how many people would show up to his event called "Surrounded" that was billed as a night to worship and pray for Nashville, the nation and the world. The answer was quite a few easily estimated to be at least 10,000 attendees who nearly completely filled in the parts of the arena that weren't curtained off for production purposes. 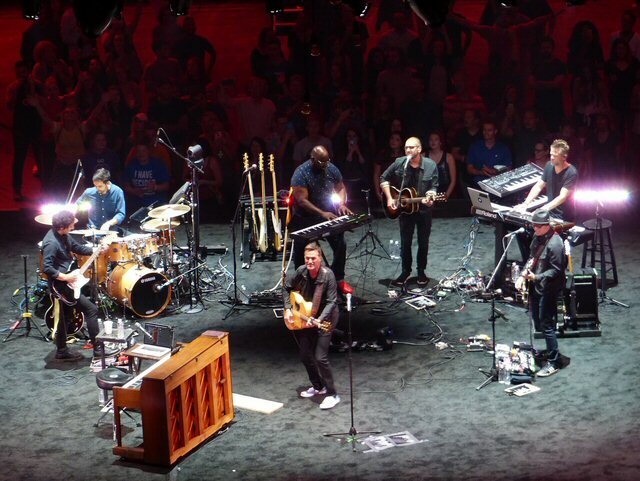 Michael W. Smith and his band and array of guest singers were situated in the round located on the floor section of one of the country's top arenas. The only real snafu was that since this wasn't a ticketed event finding seating was a challenge and a bit of an obstacle course as it required several trips in and out various sections on four concourse levels to locate a place to sit in a timely manner. Management and arena officials might want to consider this fact the next time a free event takes place somewhere as not all fans will have the energy or stamina to make the effort required when a guaranteed spot is not assigned. Once underway the worship songs and traditional hymns that Smith has perfected over the years worked perfectly in this large room. The always competent when it comes to singing Nashvillians heartily sang along making this Thursday night feel much more like Sunday morning. There were special guests speakers and regional pastors who called for repentance, revival and a "greater awakening" in the international melting pot that is modern day Nashville. "The growth and energy happening in our city is not just material, but profoundly spiritual," said Smith in advance of the much anticipated event in Nashville. "It's time for a night of prayer and worship for Middle Tennessee. My hope is that individuals, families and even whole congregations will attend 'Surrounded' for a night we'll never forget." Michael W. Smith opened on guitar but spent most of the night seated behind this piano. The free concert was produced in partnership with TBN (Trinity Broadcasting Network) and the event was be taped with plans from TBN to air "Surrounded" as a network special later in the fall. This will give fans outside of the Volunteer State a chance to watch the entertaining and rewarding gathering that crossed denominational, ethnic, racial and generational lines while providing for a real night of Unity in Middle Tennessee. It also made us want to see Michael W. Smith in concert again as his show did provide a noticeable charge in the batteries. Trinity Broadcasting Network is the world's largest and most watched faith-and-family broadcaster, reaching over 175 nations across the earth with inspirational and entertaining programming 24 hours a day in 14 languages and on 32 global networks. As the world's most influential non-profit religious broadcaster, TBN has led the way in expanding the impact of faith-based television across the earth through the creation of innovative content designed to reach every viewer demographic with the life-changing message of hope and grace. Michael W. Smith has been releasing new music regularly and performing around the world to sold-out crowds for the last 30+ years. During his storied career, he's written 32 No. 1 singles, been honored with three Grammy Awards and 45 Dove Awards, was inducted into the Gospel Music Hall of Fame and has sold more than 15 million albums. He's also given back to the global community. Michael has raised funds to battle AIDS in Africa; started Rocketown, a safe haven for young people in Tennessee to meet and find hope; and has helped more than 70,000 children through Compassion International. 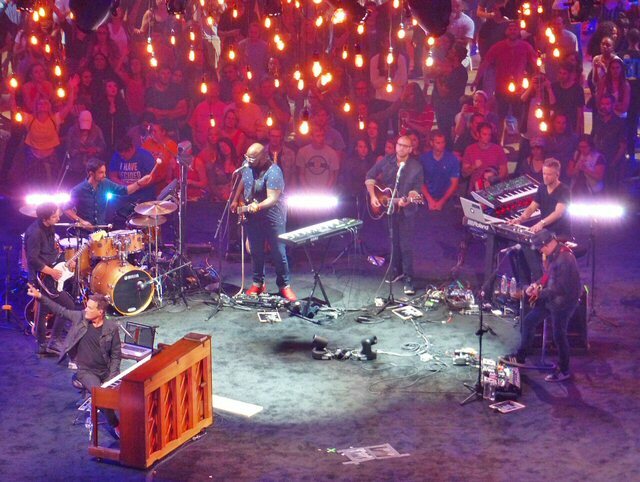 Michael W. Smith and special guests lit the light of revival in Nashville.